Jo Beschil, whose real name is Johannes Liebsch, grew up in a rural area of Hessia, Germany.At the age of 4 he was introduced to the piano by his parents and started to take lessons at the age of 5. Giving different classical instruments a trial, he eventually picked up the drums.His passion for music was initially sparked when he began as a drummer for various alternative bands. But since a camel is a horse designed by committee, he started to translate his instrumentalskills into the production of his own tracks a few years later.He turned his back on the drum kit, bought a midi controller and started to delve into electronic music. 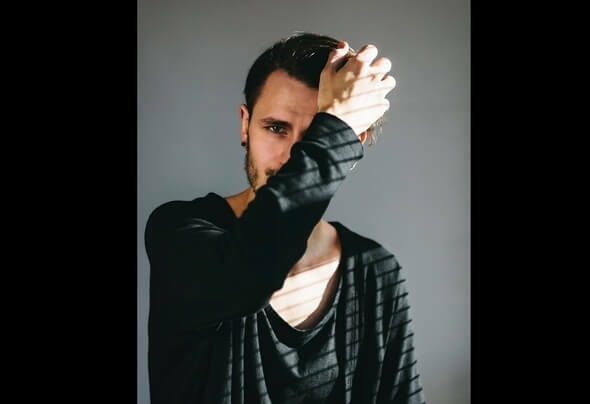 Beat heavy downbeat and electronica tracks with complex rhythms were among his first output.At the same time he started to write his own lyrics and sing.Jo Beschil’s interest then shifted to Techno and House music.At the age of 19, he moved to Leipzig, Saxony. That is where he was inspired by the club scene.His first live performances and gigs followed and so did his first releases.Yet, music to Jo Beschil is still something very personal.It is produced in solitude and then it comes alive.Like a living thing, it is born and then develops a life of its own and gives a feedback to its creator.That is what fascinates him with electronic music:An artificial beat combined with simple harmonies can trigger the most complex of human emotions.